It’s as Easy as One, Two, Twenty!? When on the 18th April the three Navy teams made it a clean sweep for the first time against the Royal Air Force they set up the most enticing prospect of the First, The Second and the Twentieth. 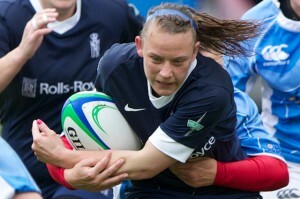 Navy Blue would bring them a first ever Inter Service Championship. Those who have watched the team over the last few years will have seen the continued improvement this playing group makes and what a send off it would be for retiring coach Sam Cuff. The Navy Women’s team can be found by clicking here. Hopefully the team can take another step forward from their victory of the Air Force. The team will certainly be happy if it is blowing a gale as they are now used to these conditions following their trip to Toulon and the wet encounter last week at US Portsmouth. The forwards will need to have a big game and hopefully Loz Morton can continue in her rich vein of form and keep sniping around the fringes and giving Jenks the ball on the front foot. Like their Senior counterparts in 1920 the Mariners won the first ever Inter Service Championship for the over thirty fives. This unfortunately was some time ago, back in 1996. Since then it has been a tale of light blue and red. On Saturday the Mariners will be looking to double up and grab their second IS title and they must be confident after their excellent performance last week at HMS Temeraire. 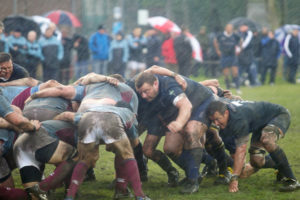 They certainly showed that if it is wet and windy they can still produce a varied game plan built on forward physicality and no little guile in the backs. Again you can find their team by clicking here. The team did share the title in 2006 which was also the last time that they beat the Army. 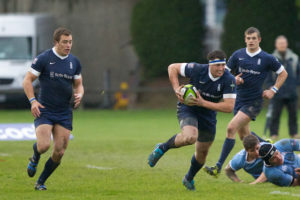 For the Senior XV they will be looking for their twentieth Inter Service title at the 2012 Army Navy match. Once again the top tier has been opened to cater for another huge crowd that is expected to descend on TW2. I am sure that many will arrive expecting a ‘routine ‘ Army victory. The distinguished Daily Telegraph journalist, Rupert Cherry, was obviously expecting as much when in 1970 he previewed the Army Navy game. The Spirit of 1970? The game is won on the pitch not on paper? Admiring the team in red boasting a number of internationals and (in those days) B internationals in its ranks he felt there was only one outcome. However by the time he came to write his match report the team in Navy blue had recorded a deserved victory. Rupert described the Navy team as “fired with a tremendous enthusiasm”. “They played above themselves” They looked bigger and heavier.” One of the young players of that day, a certain Leigh Merrick of Cossack Sword fame, much later wrote that the Navy captain of the day, Terry Scott, had ” tapped that ambition so rousingly that the array of talent lined-up against us simple did not enter our heads for one moment. There was a supreme belief……” No doubt all from the Senior Service travelling to Twickenham will be looking for the spirit of 1970 to be found alive and well and wearing the Navy blue shirt. It is good to see that the International Rugby Board are supporting Afghan Rugby. As mentioned in an earlier post Navy coach Doc Cox did some coaching when he was on his last tour. IRB news article can be viewed here. The eagled eyed readers will notice that a new page has been posted. It contains the award holders from Navy Rugby including those that have one the famed Cossack Sword presented to the Union by Leigh Merrick. It also lists all the captains throughout the years that have been selected to lead the team. My thanks to Dave Oakley who helped with this last task. It is found on the menu under Navy Rugby – TTL.